IRVINE, Calif. & BASEL, Switzerland–(BUSINESS WIRE)–Mar. 6, 2019– Urovant Sciences (Nasdaq: UROV),a clinical-stage biopharmaceutical company focused on developing and commercializing innovative therapies for urologic conditions, today announced James Robinson, President and Chief Operating Officer of Alkermes, will join its Board of Directors. Mr. Robinson has more than 27 years of commercial and operations experience in the biopharmaceutical industry, specifically in the urology, oncology, cardiovascular, infectious disease, hepatitis and CNS markets. Since March 2018, he has held the position of President and Chief Operating Officer at Alkermes, where he is responsible for the global commercial, new product planning, corporate planning, anufacturing, quality, human resource and business development functions. 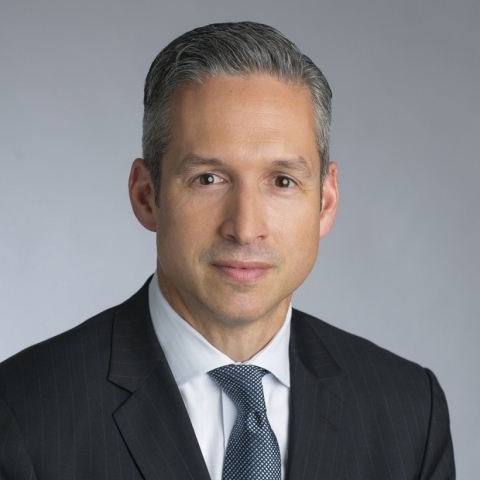 Prior to Alkermes, Mr. Robinson spent over 13 years at Astellas US – most recently as President, Americas Operations, from chron>April 2016 through February 2018, where his responsibilities included all aspects of commercial, corporate development, human resources, finance, corporate affairs, compliance, legal and international operations for North and South America. Prior to his role as President of Americas Operations, Mr. Robinson was President, Astellas Pharma US, from April 2013 through March 2016, where he was responsible for leading the US commercial organization. Prior to Astellas, Mr. Robinson spent 13 years at Schering-Plough Pharmaceuticals where his last role was Vice resident, Hepatitis Sales and Managed Care. Urovant Sciences is a clinical-stage biopharmaceutical company focused on developing and commercializing innovative therapies for urologic. conditions. Urovant’s lead product treatment of OAB with symptoms of urge urinary incontinence, urgency, and urinary frequency; for OAB in men with benign prostatic hyperplasia; and for abdominal pain associated with irritable bowel syndrome. Urovant has licensed global rights, excluding Japan and certain Asian territories, for the development and commercialization of vibegron. Urovant’s second product candidate, URO-902, is a novel gene therapy being developed for patients with OAB who have failed oral pharmacological therapy. Urovant intends to develop treatments for additional urologic diseases. For more information, please visit www.urovant.com.